If you’re an Outlander fan you’ll know that Diana Gabaldon mentions Balnain in her book and it’s also in the TV Series. “Bean Tighearna Bhail’ ‘n Athain” or “The Woman of Balnain” is a Scottish Gaelic song performed as part of an evening’s entertainment at Castle Leoch by Gwyllyn the Bard. Jamie explains the meaning behind the song to Claire. It’s a tale about the wife of the Laird of Balnain, who returned through the stones on a fairy hill. So where is this place called Balnain? Well, you might think that the Balnain mentioned in Outlander would be easily found on a map today, but alas not. You have to go much further back in time for that. A village called Balnain lies almost 5 miles west of Urquhart Castle today, but back in the mid 1700s it was called Lochlater. Below is the first Ordinance Survey Map of the Highlands from 1747 – 1752. It’s a very accurate representation of Scotland at that time. Lochlater is on the left hand side of the map, just to the right of Loch Later (now called Loch Meiklie). But this township only became known as Balnain in the 1880s when new houses began sprouting up there as the village grew. For context, you can see Urquhart Castle on a peninsula in Urquhart Bay a few miles south of Inverness on the right of the map. Click on the map for a larger picture. So where was Balnain?… Well, that’s the exciting bit!! Back in the 1700s, the village of Balnain was in fact 27 miles north of Lochlater, and just a stone’s throw from Castle Leod, seat of the Clan Mackenzie. On the same Ordinance Survey map below you can see Balnain on the left and Castle Leod on the right. The distance between them by road today is 6 miles, but that is by driving in a big half-circle south and back up again. Those roads didn’t exist back in the 1700s. So if you were to walk from Balnain to Castle Leod as the crow flies, they would be just a couple of miles apart. So here it is! The Highland township of Balnain that existed in the mid 1700s. Not only that, but so close to, and closely related to, Castle Leod (or Castle Leoch in Outlander, as the Seat of the Clan Mackenzie). We have shared a feast of Scottish history below and will now take you on a journey into Balnain itself. 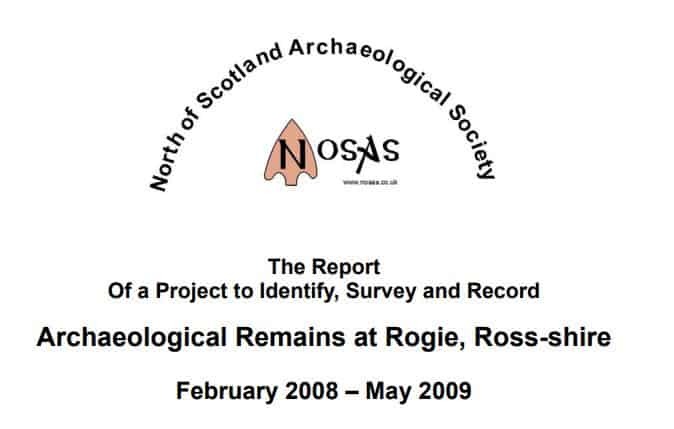 We discovered not only a full report on an Archaeological dig carried out there in 2008/9, but we tracked down some videos of the ruins remaining at the Balnain township, now referred to as Rogie, below. You’ll see that Rogie, or Rogg, is on the historic map just above Balnain, but that Balnain is actually where the township was recorded as being. This is mentioned in the Archaeological report. Here are a few really interesting facts that the report contained about Balnain (Rogie). All info bullet-pointed below is from the Archaeological report itself and is credited to the North of Scotland Archaeological Society. Rogie was part of the estates of the Mackenzies of Coul, a branch of the Clan Mackenzie. In 1681 a charter of the lands of Coul, Kinnellan and Kinneherd states that the lands were in the possession of Alexander Mackenzie of Coul. In 1715 Sir John Mackenzie estates were forfeited after the 1715 Rebellion for leading the Mackenzies at the Battle of Glenshiel. Sir John Mackenzie died without heirs. The estates then go to a brother, Sir Colin Mackenzie. 1725 – This is the first mention of Rogie on a map by Avery (National Library of Scotland – NLS). Rogie seems to have been called Balnain. Rogie is labelled but may indicate the burn (river/stream). The Mackenzies of Coul owned Rogie and the land around the settlement or township would have been divided among the tenants and sub-tenants. 1759 First surviving parish register for a birth at Rogie: Duncan Mackay son of Fraser and Mary Mackay (Fodderty Parish Register of Births). 1768 Rogie is mentioned as part of disputed border between Mackenzie of Coul and Castle Leod Estate. 1779 and 1780 A further entry in the Trust Sederunt Book details the cash paid by individual tenants; William Matheson, John Mackenzie, A Fraser & D. Macdonald, Duncan Mackay, D.Mackenzie, I. MacGilukson, D. Cameron, I. Macdonald and Sim. Mackenzie. It also lists arrears of two Rogie tenants, Simon Mackenzie and John Fraser (Trust Sederunt book of Alexander Mackenzie of Coul). 3rd February 1781 – A report on the Petition of Major Alexr. McKenzie shows that in 1715 there were lands at Rogie belonging to the Mackenzies of Coul. After the 1715 rising, they were forfeited, and the report implies that even by 1781 they were still held by the Crown. However, the Trust Sederunt Book clearly shows rents from Rogie in late 1770s. The report is 28 pages long and contains a wealth of information about the Highland Township. It shows plans of the remains, explains what the dwellings were, and contains photos too… it was a very exciting find indeed. We hope you enjoy it. Click on the NOSAS Report below to access the PDF online. Please note that the road to these ruins is not a public road. It is a strictly private Forestry Commission road which only forestry staff and the land-owner himself have access to and permission to drive on. If you’re intending to walk to the ruins, it is quite a distance and we don’t wish to take any part in encouraging it. This was shared for educational and historical purposes only. Here are the videos of Balnain, again referred to as Rogie in the videos. 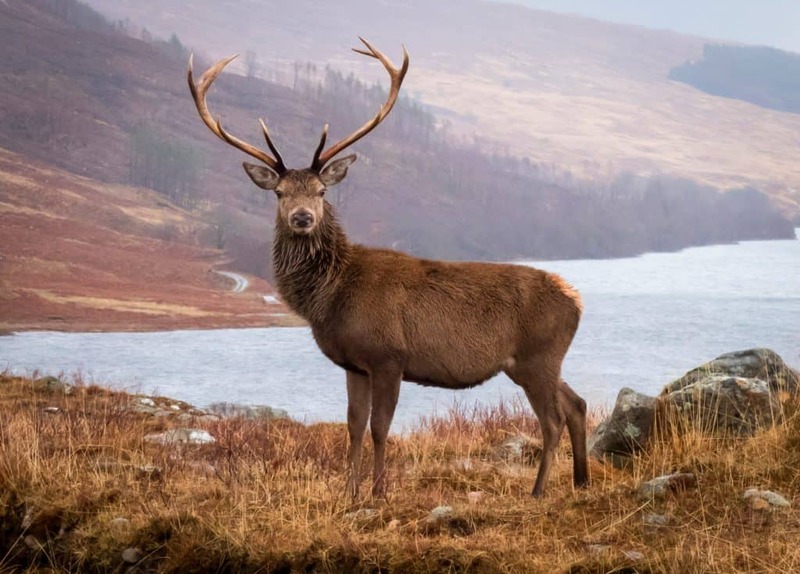 You’ll notice in the videos that they refer to Highland Folk Museum several times throughout as they compare the Balnain ruins with a working township at the museum. This is where the Outlander episode ‘Rent’ (Season 1, Episode 5) was filmed.